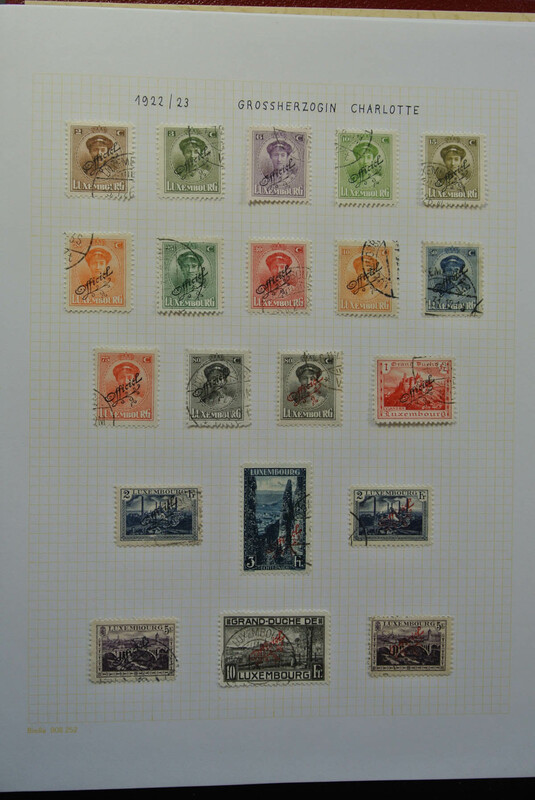 35637 postfrisch (never hinged) ** 1946/1978, accumulation on stockcards with only MNH stamps and souvenir sheets, incl. 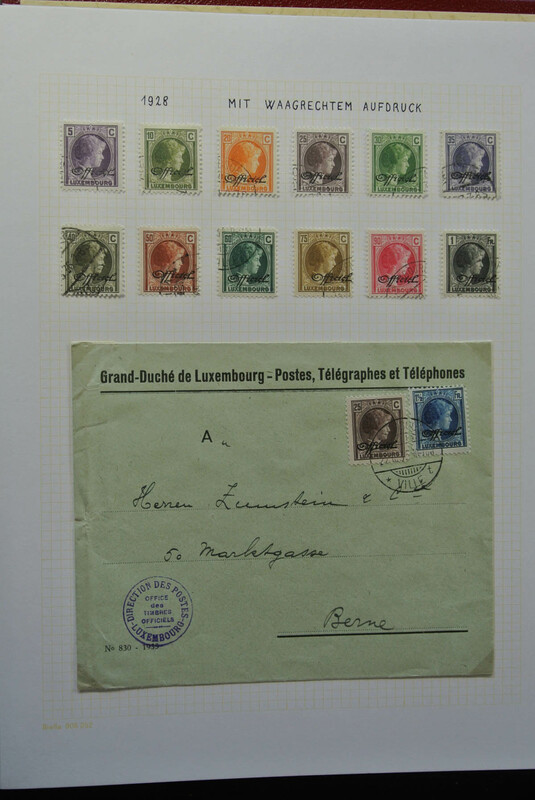 better sets like Caritas and Europa 1951, souvenir sheet 1946 28 copies, UPU and Caritas 1949 6 sets each, 100 years Luxemburg stamps 1952 19 sets (Michel 1900,- €) etc. 35639 FDC 1947/1956, lot of seven better f.d.c. : 1947 Patton, 1947 Caritas, 1949 UPU (2), 1952 Centilux (se-tenant pair and set), 1956 Europa-Cept. 35640 postfrisch (never hinged) ** 1947/1987 (ca. 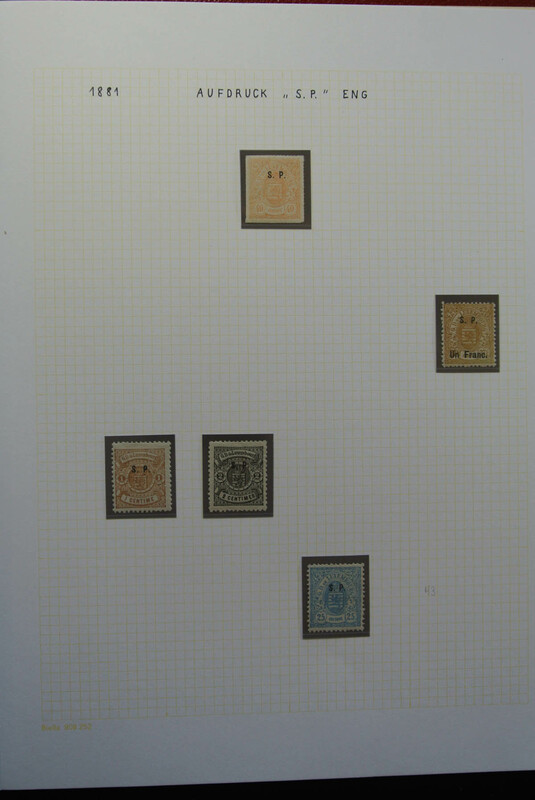 ), duplicates on about 210 small stockcards with stamps sorted in complete years with several better issues as 8 x 1951 and others, mint never hinged and a high cat. value! 35644 postfrisch (never hinged) ** 1950, 85 complete sets MNH, a few with gum imperfections, Michel 13175,- €. 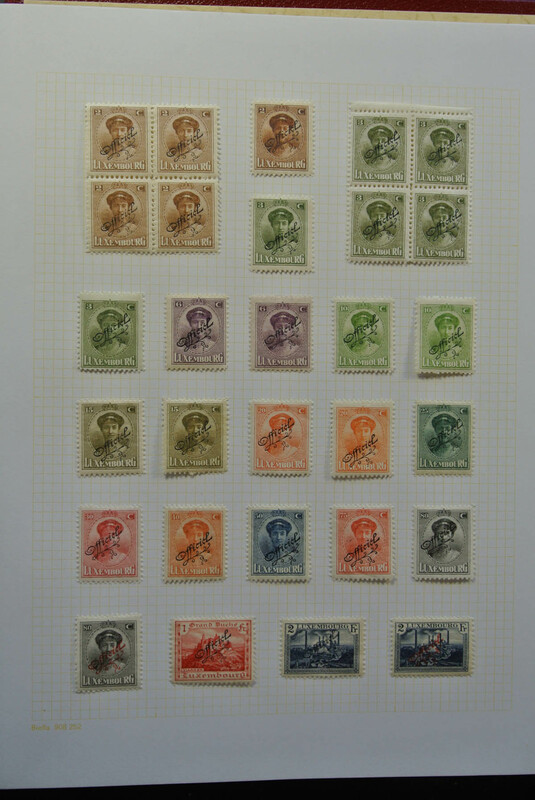 35648 postfrisch (never hinged) ** 1955, complete sets per 147, mostly mint never hinged and fine, a few a bit toned, creases etc. MNH. Michel 7614,- €. 35650 postfrisch (never hinged) ** 1957, Boy Scouts/Baden-Powell, 300 sets within sheets, unmounted mint (Mi.nos. 567/68 - 1.350,- €). 35651 postfrisch (never hinged) ** 572/574 (100) 1957, Europa, 100 sets of this issue mint never hinged. Michel 15000,- €. 35652 postfrisch (never hinged) ** 572/574 (100) 1957, Europa, 100 sets of this issue mint never hinged. Michel 15000,- €. 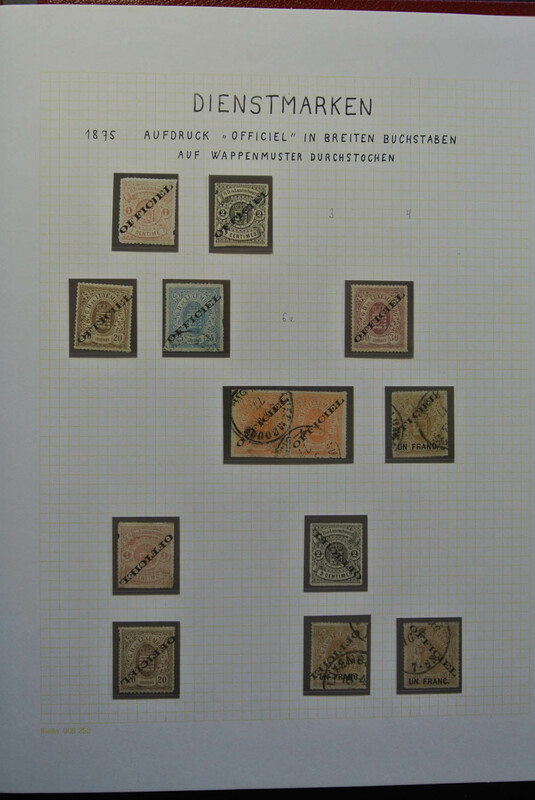 35654 postfrisch (never hinged) ** 1960/1978, stock of the Europa issues, complete sets mint never hinged: 1960 - 200, 1961 - 5600, 1962 - 4500, 1963 - 800, 1964 - 2800, 1965 - 3200, 1966 - 3600, 1967 - 3400, 1968 - 1400, 1969 - 800, 1970 - 2000, 1971 - 1600, 1972 - 700, 1973 - 2000, 1974 - 1500, 1975 - 400, 1976 - 1800, 1977 - 1000, 1978 - 1700. In total ca. 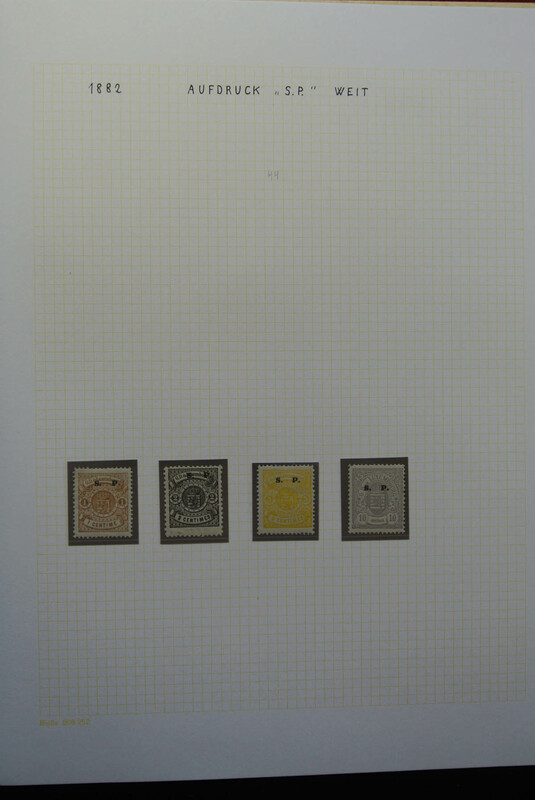 78.000 stamps. Michel 45.960,- €. 35655 postfrisch (never hinged) ** 1960/1988, stock of the Europa issues, complete sets mint never hinged: 1960 - 600, 1961 - 1000, 1962 - 1200, 1963 - 1900, 1964 - 1800, 1965 - 2600, 1966 - 2300, 1967 - 2100, 1968 - 2400, 1969 - 900, 1970 - 2400, 1971 - 300, 1972 - 1200, 1973 - 1400, 1974 - 1100, 1975 - 2500, 1980 - 1400, 1981 - 1300, 1984 - 800, 1988 - 400. Michel 41150,- €. 35656 postfrisch (never hinged) ** 1960/1990, huge stock of the Europa issues, always in complete sets, all mint never hinged, in the following amounts: 1960 - 1800, 1961 - 2000, 1962 - 1500, 1963 - 1000, 1964 - 700, 1965 - 490, 1966 - 1200, 1970 - 200, 1971 - 480, 1973 - 420, 1974 - 320, 1976 - 300, 1977 - 545, 1979 - 850, 1986 - 1200, 1987 - 362, 1989 - 384, 1990 - 283. Michel 26709,- €. 35657 postfrisch (never hinged) ** 1961, complete sets per 400. The definitives (Michel no. 643/646) are missing. 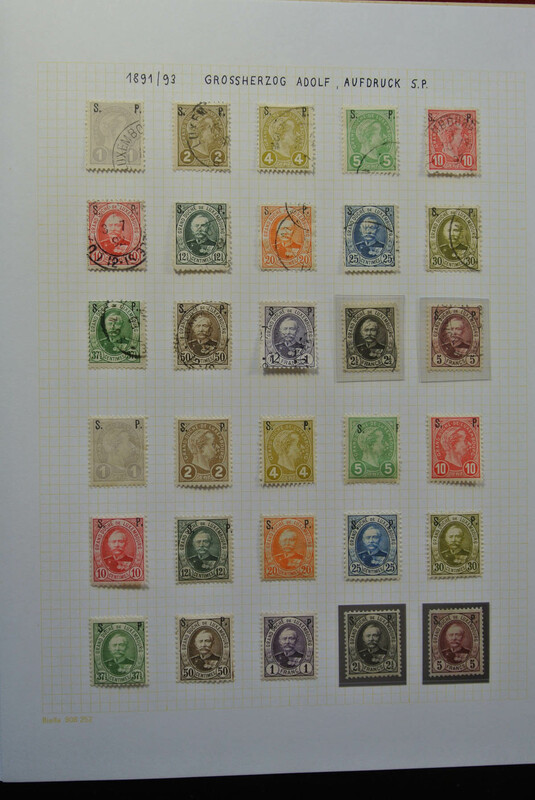 Mostly mint never hinged and fine, a few a bit toned, creases etc. MNH. (Michel no. 637/642; 647/654, cat. value. 6000,- €. 35658 postfrisch (never hinged) ** 1961, sets per 245 without the postage stamps Mi.no. 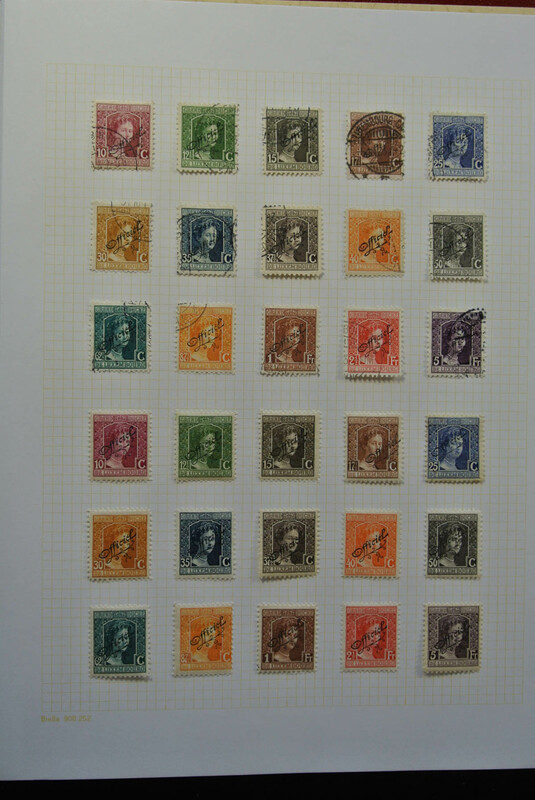 643/646 MNH, some maybe mounted, Michel 3675,- €. 35659 postfrisch (never hinged) ** 1961/1987, stock of the Europa issues, complete sets mint never hinged: 1961 - 600, 1962 - 1100, 1963 - 500, 1964 - 300, 1965 - 1100, 1966 - 2300, 1967 - 1300, 1968 - 500, 1969 - 1900, 1970 - 400, 1971 - 1000, 1973 - 900, 1974 - 1400, 1975 - 3800, 1976 - 500, 1977 - 1000, 1978 - 1800, 1979 - 3000, 1980 - 800, 1982 - 1100, 1985 - 700, 1987 - 800. Michel 55980,- €. 35660 postfrisch (never hinged) ** 1961/1990, stock of the Europa issues, complete sets mint never hinged: 1961 - 1200, 1962 - 400, 1963 - 700, 1964 - 700, 1965 - 1600, 1966 - 1800, 1967 - 1600, 1968 - 1100, 1969 - 600, 1970 - 1300, 1971 - 800, 1973 - 900, 1974 - 500, 1976 - 400, 1977 - 500, 1978 - 1000, 1981 - 400, 1982 - 500, 1983 - 700, 1984 - 300, 1985 - 300, 1989 - 1200, 1990 - 1300. Michel 32850,- €. 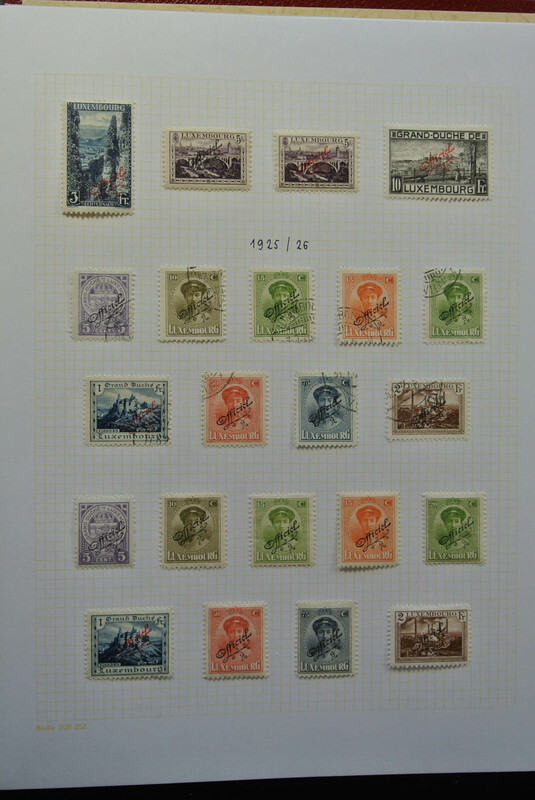 35661 postfrisch (never hinged) ** 1961/1992, stock of the Europa issues, complete sets mint never hinged. List of content enclosed and available in our online catalogue. In total ca. 148.400 stamps. Michel at least 142.630,- €. 35662 postfrisch (never hinged) ** 1962, complete sets per 270. 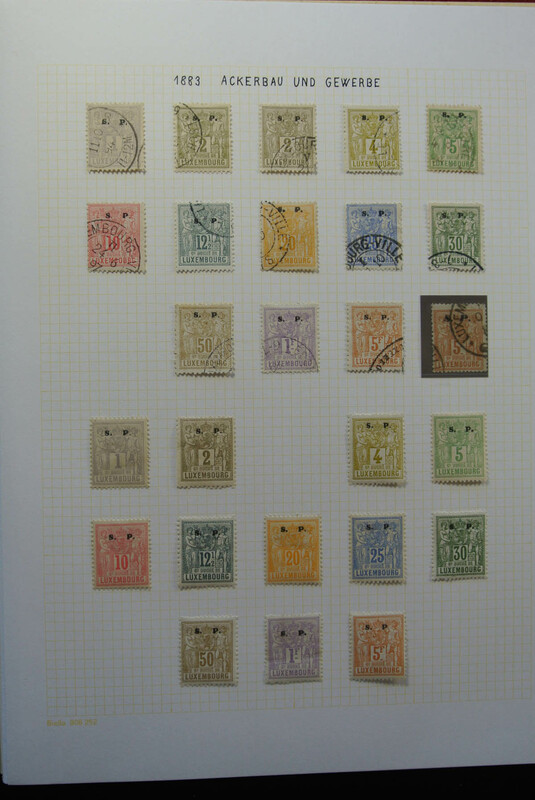 Mostly mint never hinged and fine, some a bit toned, gum creases etc. MNH. (Michel no. 655/665, cat. value. 2241,- €. 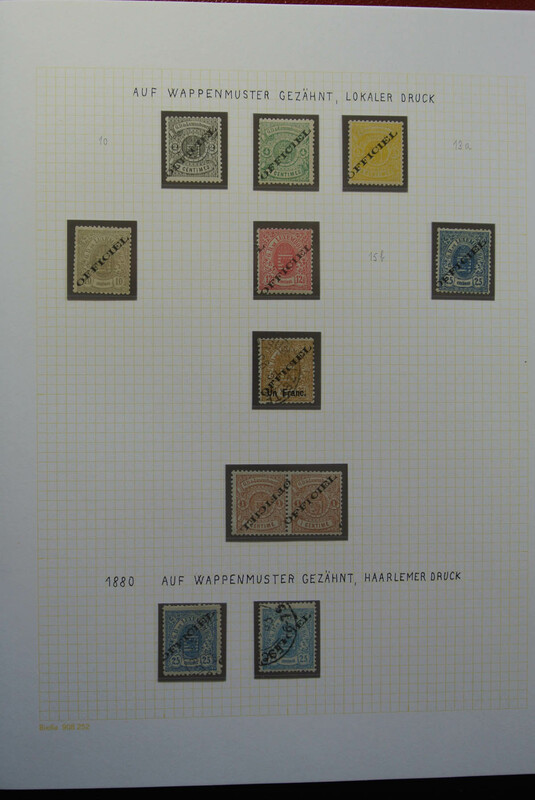 35663 postfrisch (never hinged) ** 1962, complete sets per 400 MHN, some maybe mounted, Michel 3320,- €. 35664 postfrisch (never hinged) ** 1965/1988 (ca. ), huge stock of the Europa issues MNH in a box, mostly sorted by years in glasines but not counted at all. Huge catalogue value. 35666 postfrisch (never hinged) ** 1967, complete sets MHN, some maybe mounted, per 334. Michel 2705,- €. 35667 postfrisch (never hinged) ** 1968, sets MHN, some maybe mounted, per 365 (without Mi.no.777). Michel 2956,- €. 35668 postfrisch (never hinged) ** 1968/71, complete year sets MNH, mostly mint never hinged and fine, some a bit toned, gum creases etc. 1968 - 200 sets, 1969 - 390 sets (without the souvenir sheet), 1970 - 470 sets, 1971 - 100 sets. Michel 8593,- €. 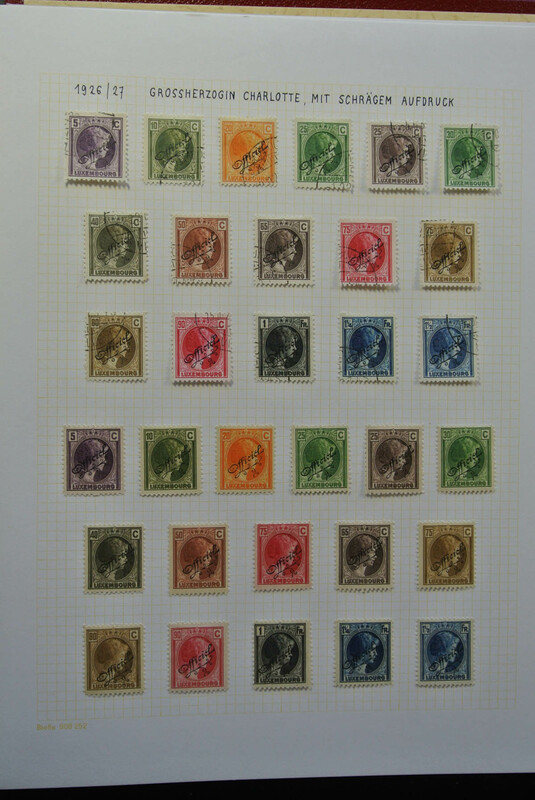 35669 postfrisch (never hinged) ** 1970, complete sets MNH, some maybe mounted, per 200. Michel 1140,- €. 35670 postfrisch (never hinged) ** 1971, complete sets per 221 MNH, some maybe mounted, Michel 2475,- €. 35671 postfrisch (never hinged) ** 1979/1991, stock of the Europa issues, complete sets mint never hinged: 1979 - 600, 1980 - 1000, 1981 - 1800, 1982 - 800, 1983 - 800, 1985 - 1700, 1986 - 900, 1987 - 900, 1988 - 1100, 1989 - 1600, 1990 - 400, 1991 - 700. Michel 41.430,- €. 35672 postfrisch (never hinged) ** ungebraucht (hinged) * ungebraucht ohne Gummi (unused without gum) (*) gestempelt (marked) 1875/1935 (ca. 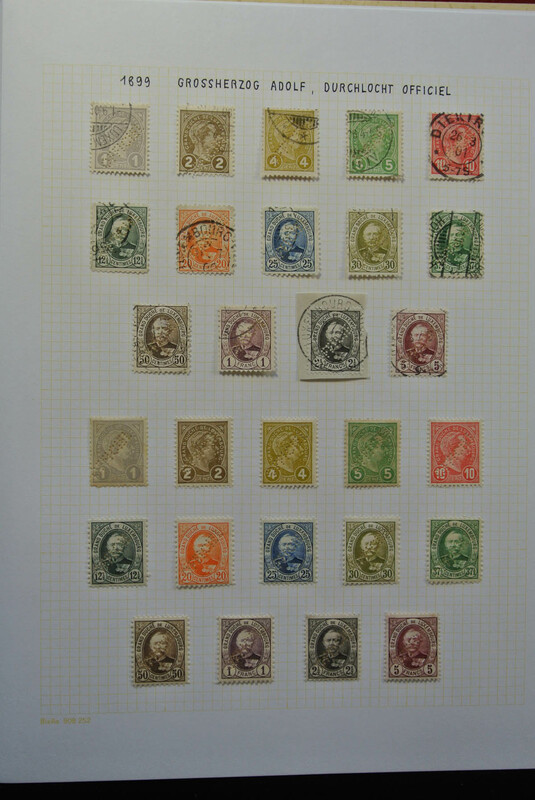 ), duplicates on 28 large stockcards with many valuable stamps of the early period incl. 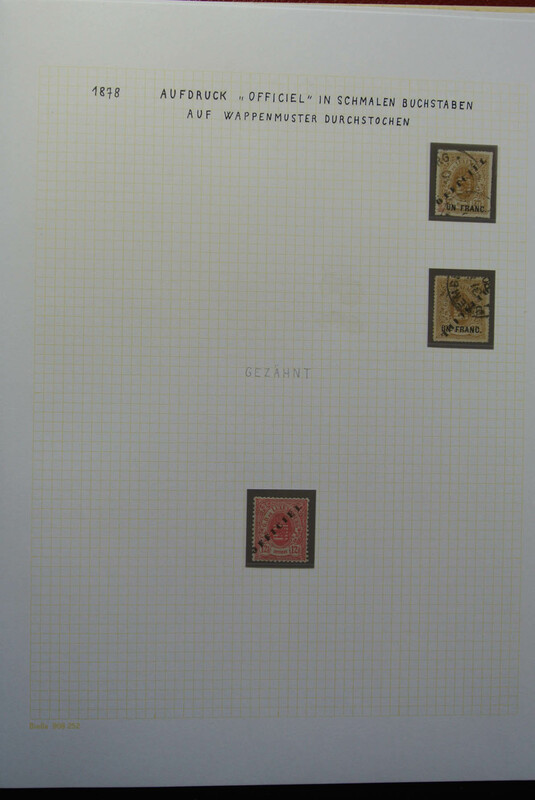 INVERTED overprints, different types (OFFICIEL, S.P. or perfinned) etc. incl. 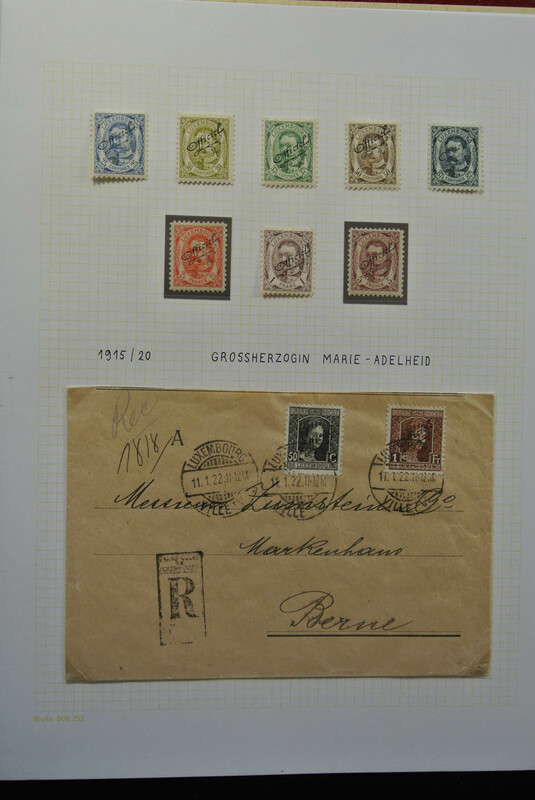 some signed Demuth but also some forgeries included, later issues from 1922 to 1935 incl. 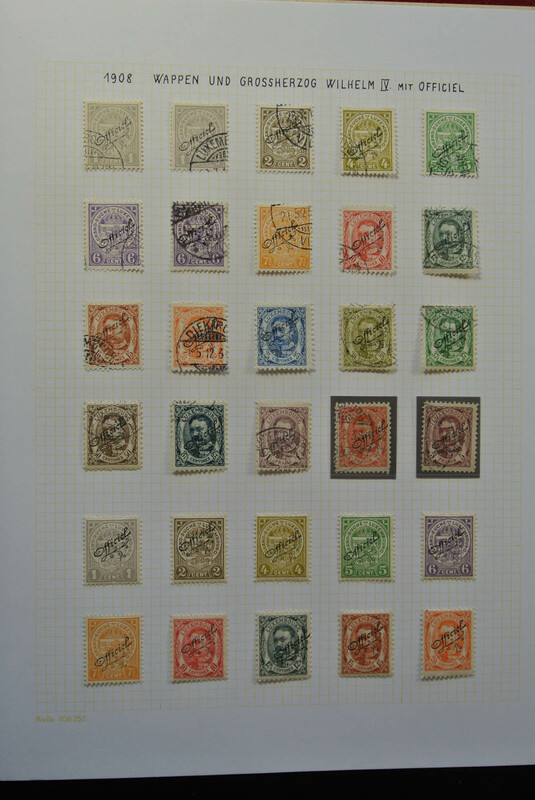 many larger blocks/part sheets, unused (MNH, mint hinged and some earlies without gum) or used, unusual STUDY MATERIAL for the specialist with a very high cat. value – PLEASE INSPECT!